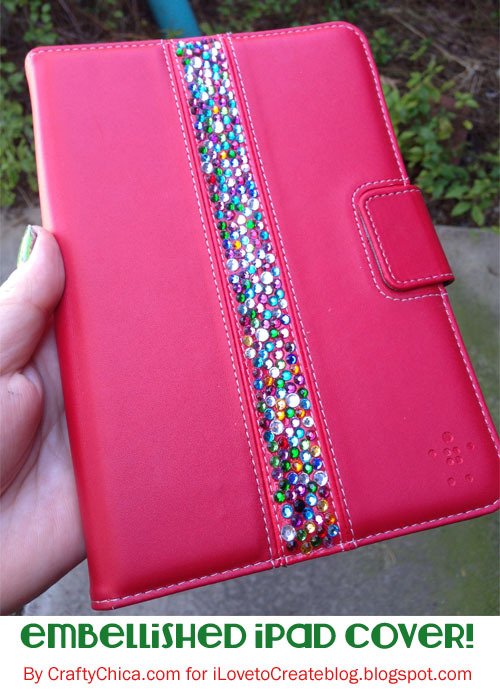 iLoveToCreate Blog: Embellish your iPad cover! "Eh, I don't need one of those," I said. Inside, as I watched my creative friends dabble away on their iPads, I secretly longed for one. There was no legitimate reason for me to splurge on an iPad. I wanted one, but could certainly live without. But that didn't stop me from entering contests to win one. And my friends, I'm here to tell you - that day finally arrived!It was at CHA last month in Anaheim. 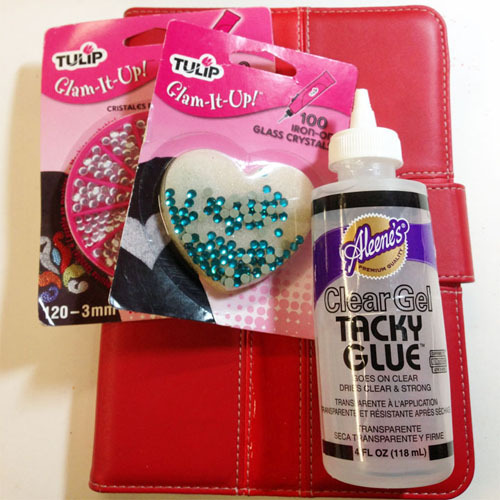 I attended a blogger party for FloraCraft, yes to see all their fancy new products (great use with Aleene's Original Tacky Glue! ), but also because they were giving away an iPad Mini. When I wrote my name onthe entry form. I almost folded it up, but then added one more sentence under my name: PICK ME!!! It worked! When I found out I won, I squealed, jumped in the air and did the Price is Right money dance. When I got home, of course I had to buy a cover. Of course I had to embellish it! There are a gazillion ways to personalize your iPad cover. You can stud it out, paint your dog's portrait on it, give it a decoden makeover, or add your monogram. 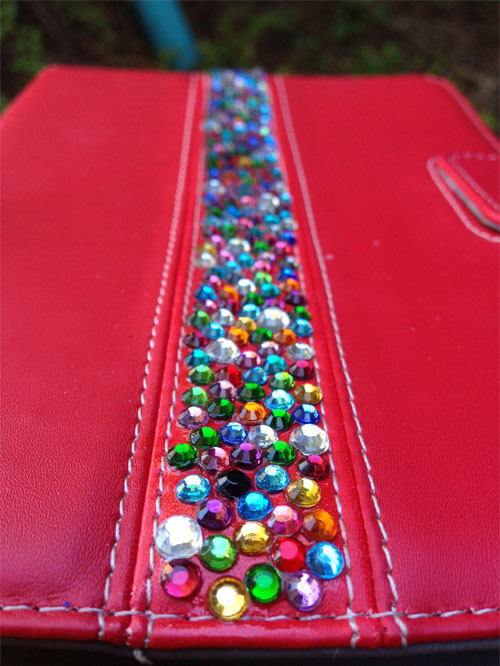 As for me, I decided to add a stripe of multi-colored crystals! Start at one end of your case. 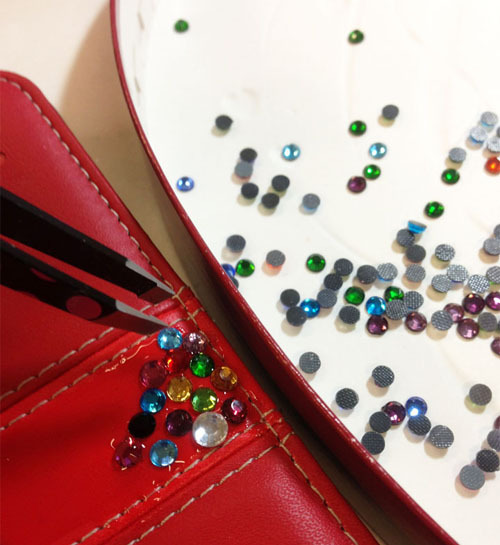 Spread the glue over a one-inch area and begin to apply the crystals one-at-a-time. For the multi-colored look,make sure to mix up the colors in a random pattern. Keep working one-square at a time, otherwise the glue will dry before you can apply the crystals and create a gunky mess. I used the stitched stripe that was already on the cover as a guide. Maybe later I'll add more, but for right now, I really like how it looks! 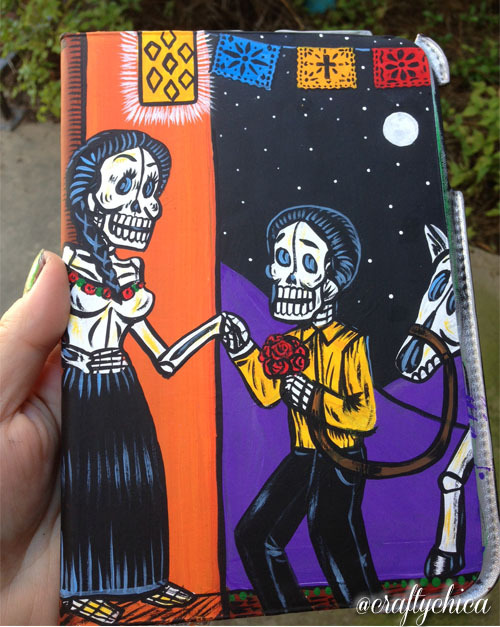 My husband even got in on the fun and painted a cover in his Day of the Dead style! He used our Tulip Soft® Fabric Paint! Such a good idea. I was looking for iPad covers and it never even crossed my mind to personalize it myself, thanks!